Because they’re at Jake Brady’s manscaping salon. Keep up. Because they’re at Jake Brady’s carpet cleaners. Keep up. Taranto perhaps not with the off field leadership but on the field he has that “follow me” style about him. I see him in the Bartel mould. Having met McGrath I couldn’t think of anyone else in the AFL in his age group that could be a better total package as a leader, the kid is super smart, humble and polite to everyone he speaks to. The one thing he lacks which will come in time is that confidence to lead an entire team, he isn’t a big guy as we all know. 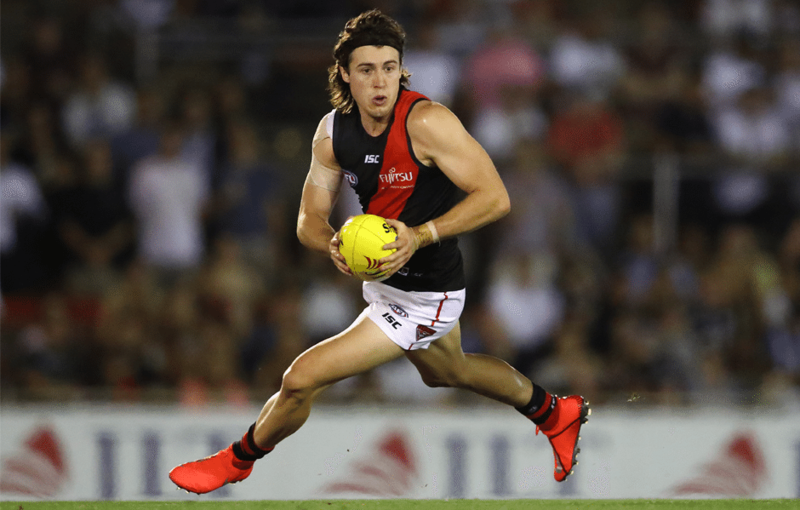 Having wowed his teammates this pre-season and impressing in the Bombers’ JLT Community Series opener, all eyes will be on Andy McGrath in 2019. Get to know our No.1, as he prepares for his third season in the red and black. This guy has cost us 4-5 scoring shots by just simply not being up to standard. Is allergic to picking up a ball below his knees cleanly. Must have trained with Travis Colyer in the pre-season. Please, you guys have no idea, kicking was nowhere near his strong point. Sorry Andy not at this rate and not at this club the way FOOTY IS BEING PLAYED at EFC. trying his heart out but any chance he can hit a target? Yeah - I mean he could never kick, I said in the match thread we took the worst kick in the draft at pick one. He needs to sharpen up his ground ball work and be a little more proactive in close instead of waiting for one of his mediocre teammates to get the ball for him. Was scrappy with ball in hand but can’t fault his endeavour. He and Shiel were our best I thought. Interesting to see McGrath gets targeted when he was probably our best player today. Not great - no-one was, but better than the rest. Given that much better credentialled players did much worse he probably deserves a break. Honestly I’m astounded he has copped as much as he has.